Here's some good news for travelers: It's getting cheaper to fly. The average price for domestic airfare dropped 6.2% to $372 in the third quarter of 2015 from 2014, according to the Department of Transportation. That's the cheapest since 2010. Fliers can thank the expansion of low-cost airlines and the plunge in oil prices for the drop in ticket prices. "The major airlines are flying scared and looking over their wing tips at these low-cost carriers that are definitely taking up market share, despite their horrible reputation," said George Hobica, founder of Airfarewatchdog.com. The major airlines are being forced to reduce their fares to compete with Spirit (SAVE) and Frontier. "On some routes, they are matching prices dollar for dollar so we are seeing fares 50% lower than a few years ago," said Hobica. Oil's continued plunge has also been a boon for airlines. In December, airlines paid $1.46 a gallon for jet fuel compared to $2.32 a gallon in December 2014, according to the Transportation Department. And the savings might finally be getting passed down to fliers. "For the first couple of years, they kept every dime of the fuel savings for themselves, but even now they are beginning to say, 'geez, we can lower fares now, gain market share and start new routes," said travel blogger Joe Brancatelli. 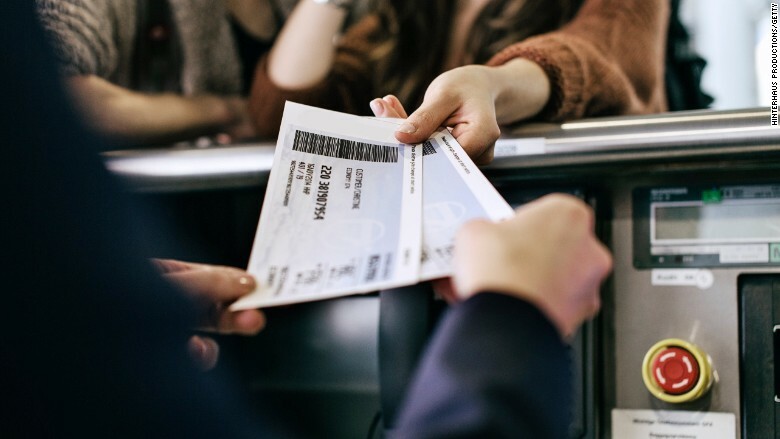 But Brancatelli also pointed out that just because the ticket price is cheaper, that doesn't mean the overall cost of flying is getting less expensive. Charges for baggage fees, seat assignments and priority boarding can add up quickly. Airline companies have reported record profits recently as a result of oil prices and travel demand: The nation's four top airlines saved $11.1 billion during the first nine months of 2015. While the airline companies have been bringing back perks like free snacks, they've been pretty quiet about the drop in fare prices. "They don't want to over promise," said Hobica. And with the recent market volatility, oil prices could start to rise, and even a small increase could bring higher ticket prices. "We are now in a strange situation that if oil goes to $40, which was a bargain three months ago, airlines can say, 'we can't lower prices because oil prices are going up.' Everything is relative," said Brancatelli.